The religious and cultural festival Danshig Naadam – Khuree Tsam 2019 will be held on August 3-4, the first weekend of the month, according to the Gandantegchinlen Buddhist Monastery. 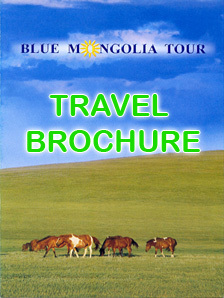 The event is interesting for tourists and travelers, who will be looking for the unique feature of belief in Asia and golden heritage of Mongolian culture. During the festival, a number of interesting events including debate and contest among monks as well as Khuree Tsam buddhist performance, dispute on the phylosopy and teaching of Buddha between buddhist young monks, and as well as the main element of Danshig Naadam will take place. Besides that, tehre is also folklore art concerts and performances of young artists will be presenting to the public. The concert inludes the dances of cheerful boys and girls, who are imitating the kid jockeys, the mongolian native singing with throat and prolonged songs, contortion performances and performance of traditional music orkestre. The Governor’s Office of Ulaanbaatar and Gandantegchilen Monastery have been co-organizing Danshig Naadam – Khuree Tsam since its revival in 2015.